School Counselor Blog: Celebrating 4,000+ School Counselor Blog Facebook Fans with a Giveaway! Celebrating 4,000+ School Counselor Blog Facebook Fans with a Giveaway! 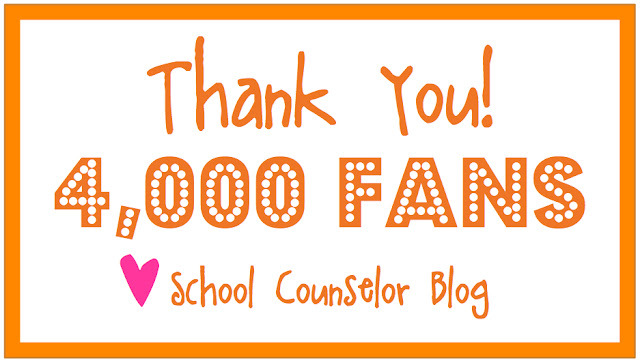 On Sunday the School Counselor Blog Facebook Page reached 4,000 fans! When I first started School Counselor Blog in 2009 I never imagined that I would have the opportunity to connect and share with School Counselors all over the world! It has been an amazing ride and I am so excited to continue it with you! To celebrate reaching 4,000 fans, I am hosting a giveaway on the School Counselor Blog Facebook Page this week. One lucky winner will receive a FREE Banner of their choice from the School Counselor Blog Store. To enter the giveaway visit the School Counselor Blog Facebook Page and leave a relevant comment on the contest photo. The giveaway will run from 10/22/12 until 10/28/12 at midnight EST. A winner will be announced on the School Counselor Blog Facebook Page and School Counselor Blog 10/29/12. 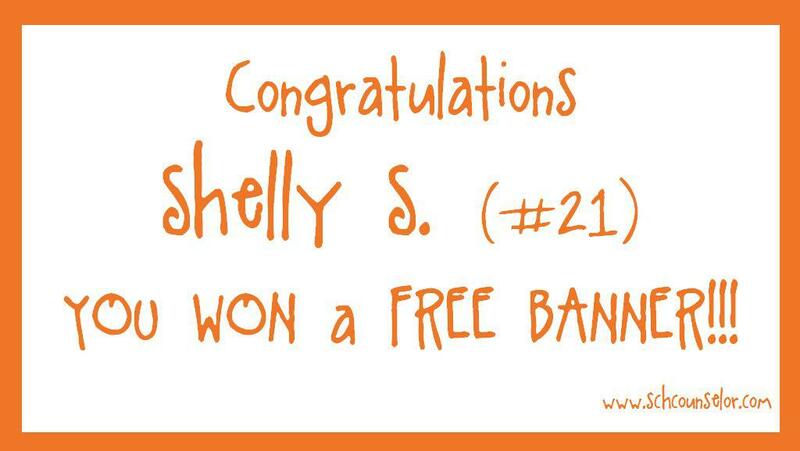 Congratulations to Shelly! 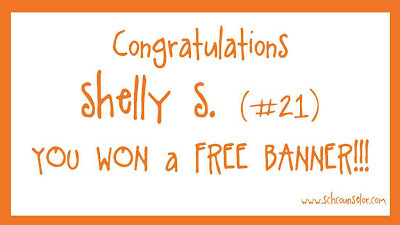 Shelly won a FREE banner of her choice! Shelly, email me or send me a message with your address and which banner you want! To view the banners visit the School Counselor Blog Store. Give-aways are an important part of the internet business entrepreneur scene. Builds customer royalty and generates niche specific interest that is a boon to one's products.